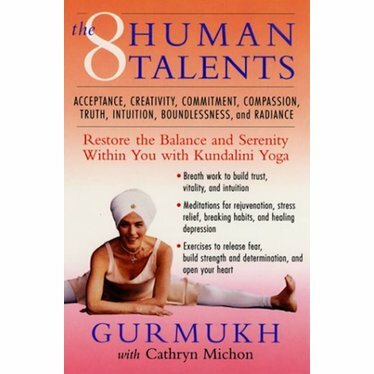 Eight Human Talents by Gurmukh Kaur. This book contains breath work out to build trust, vitality, and intuition. Meditations for rejuvenation, stress relief, breaking habits, and healing depression. Exercises to release fear and build strength. Acceptance, Creativity, Committment, Compassion, Truth, Intuition, Boundlessness and Radiance - the eight qualities or talents directly connected to the eight chakras of the human body. 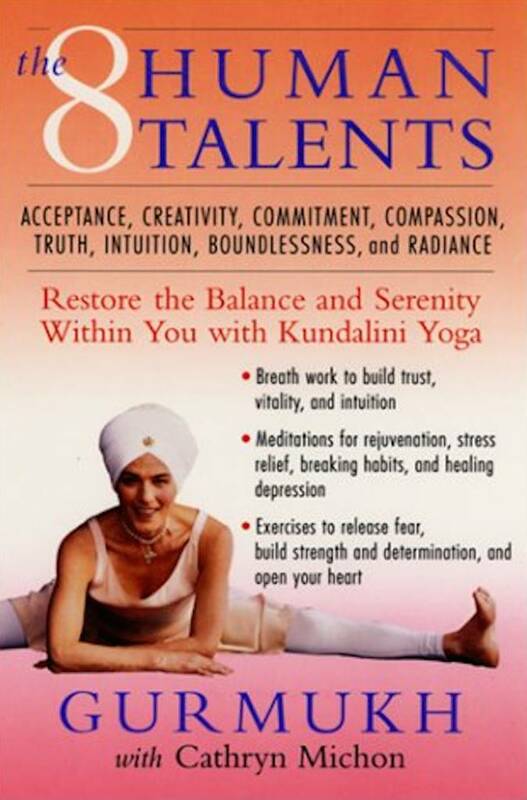 This brilliant book contains breath work out to build trust, vitality, and intuition; Meditations for rejuvenation, stress relief, breaking habits, and healing depression; Exercises to release fear, build strength and determination, and open your heart. Softcover with illustriations, 228 pages.